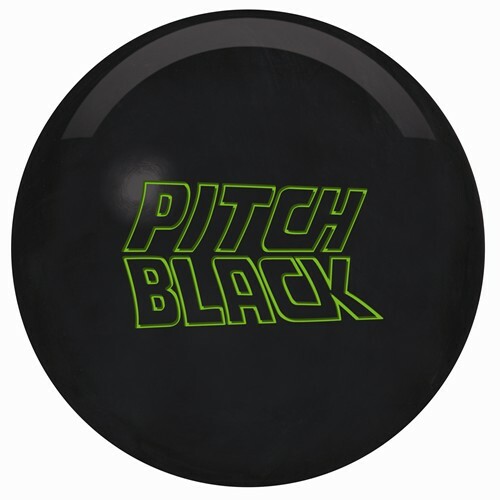 Storm has created the Pitch Black, a solid urethane ball, for their Thunder Line. 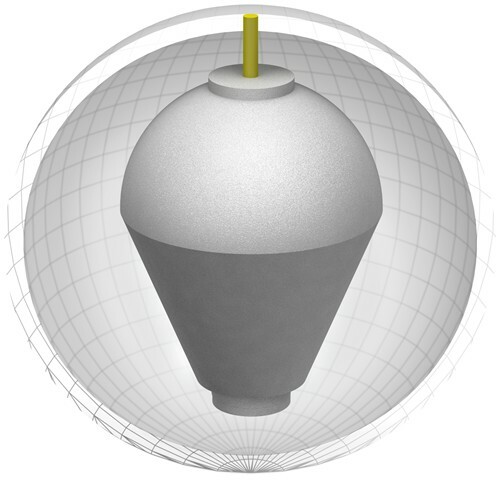 This ball is intended to provide control on lighter and shorter oil conditions. The Capacitor core gives this ball a straighter but strong delivery. I purchased this ball as an upgrade to my old (20 years) Columbia 300 Shadow. It is a definite improvement over my older ball. While it is stronger than my Shadow it finishes MUCH better which is what I was looking for in this ball. I no longer leave 5-7's or just 5's on a worn out THS. It can cover more boards at times, but it is just as smooth and controllable as my Shadow. THE PITCH BLACK SHOULD BE LISTED FOR STARTING BOWLERS. MY AVERAGE HAS DROPPED 20 POINTS SINCE I STARTED USING THIS BALL. IT WAS A WASTE OF MONEY AND TIME. I HAD PROFESSIONAL HELP USING IT AND THEY TOLD ME TO GET ANOTHER BALL.I HAD THE BALL SANDED AND IT STILL DOES NOT HIT WELL. I WILL DONATE IT TO THE SCHOOL LEAGUE. Great ball got here in 1 day!!! This ball was perfect for my 35 foot sport pattern. I was only averaging 175 with my Brunswick Rhino gold pro but as soon as this ball came in I move my lone two boards in and the last 3 weeks I haven't shot under a 200! Also great for house oil. It's extremely constant if you are. I am a two handed bowler with a 215 average and I had issues adapting to my sport shot leagues lane conditions, but no more. The Storm Pitch Black rolls like a monster. I had it drilled pin up to the right of center with the CG kicked out about an inch to give some added length to a ball that is known to hook early. I then sanded it to 1000 grit so it could still bite and wouldn't go too long. I would recommend this ball to anyone who needed a versatile ball that could be a combo for a spare and Strike ball. Hello, you may check with the person who will be drilling this ball for you prior to ordering to determine which layout and specs they would use to get you the desired reaction. How does this compare to the fanatic btu? Hello Mac! The Fanatic BTU will be smoother and more aggressive than this ball. 10/22/2016 - By Zack b. This ball is recommended for Light Oil lane conditions. This ball will perform the best on those kind of lane conditions. 2 of 7 customers found this answer helpful. Did you? Yes | No Did you find this answer helpful? Yes | No Thanks for your feedback! Hello! This ball is going to be less aggressive then the black hammer. So this ball is more compareable to the blue hammer ? Yes, it will compliment the Black Hammer. Unfortunately, this ball will only come in 12# and up. The weight block is called a Capacitor core. On heavy oil could the pitch black be used as a reliable spare ball? This ball is a urethane ball and is not a spare ball. It will not bowl straight, it will have a hook to it. If you need something to bowl straight, we recommend looking into our spare balls. If I don’t need any drilling for the ball I just choose no protection for drilling?? Could you compare this ball to the Hustle ink. With the pin above fingers. The difference is that the Hustle Ink is a Solid reactive and the Storm Pitch Black is a solid urethane. The Hustle Ink will have a 1500 grit finish and the Storm Pitch Black will only have 1000 grit finish, meaning the Hustle Ink will go longer down the lanes before breaking. Will this ball be a good ball to thumbless bowler which have lots of spins? This ball is meant for light oil only. Besides the 2 different cover stocks how does this ball compare to the rhino black Pearl. What ball will be more aggressive at the back end. Thank you! The Storm Pitch Black will be more aggressive for it is a mid performance ball and the Rhino is an entry level ball. Due to the time it takes to produce the Storm Pitch Black Solid Urethane ball it will ship in immediately. We cannot ship this ball outside the United States.